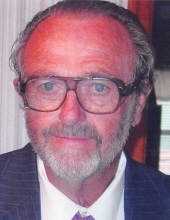 Celebrating the life of Arnold Louis Borowsky, Sr.
Obituary for Arnold Louis Borowsky, Sr.
Arnold Louis Borowsky, Sr., 81, the widower of Shirley Anne Walters Borowsky, passed away Thursday morning, January 24, 2019, at the Veteran’s Victory House in Walterboro. Mr. Borowsky was born in Mt. Pleasant on April 22, 1937, a son of the late Henry Borowsky and Louise Schriegel Borowsky. He graduated from Moultrie High School and attended Newberry College. Mr. Borowsky played semi-pro football for many years. He was a devoted husband for fifty-two years to the love of his life, Shirley Anne. Mr. Borowsky enjoyed working on cars, spending time with buddies while drinking coffee, and discussing world issues. He was a licensed tug boat captain involved with the construction of the Mark Clark Expressway and a mechanic at Nucor Steel. Mr. Borowsky worked for Amoco for a time and retired as a pipe fitter from the Charleston Naval Shipyard. He was fondly referred to as the “German” because of his strength. Mr. Borowsky was very patriotic and served in the Army and later in the Naval Reserves for thirty-three years. He was a former member of Wando Baptist Church where he served as a deacon. Mr. Borowsky was a member of Andrews First Baptist Church, where he was involved with the men’s prayer breakfast. In addition to his parents and wife, Mr. Borowsky is predeceased by: a daughter, Selina Borowsky, and two brothers, Henry and George Borowsky. Surviving are: a son, Arnold Louis Borowsky, Jr. (Elizabeth) and two daughters, Heidi Borowsky Carson (Jimmy) of Summerville; and Karla Kaddas of Andrews; ten grandchildren, Ilias and Annaletta Kaddas, Micah, Nathan and Aaron Carson, Emma Anne, Hannah, Mary, Grace and Levi Borowsky. Graveside Services will be two-thirty Sunday afternoon, January 27, 2019, in Suttons United Methodist Church Cemetery. Officiating will be the Rev. Richard “Rich” McLawhorn. A reception will follow the burial in Suttons United Methodist Church Fellowship Hall. The Andrews Chapel of Mayer Funeral Home is in charge of arrangement. To send flowers or a remembrance gift to the family of Arnold Louis Borowsky, Sr., please visit our Tribute Store. "Email Address" would like to share the life celebration of Arnold Louis Borowsky, Sr.. Click on the "link" to go to share a favorite memory or leave a condolence message for the family.